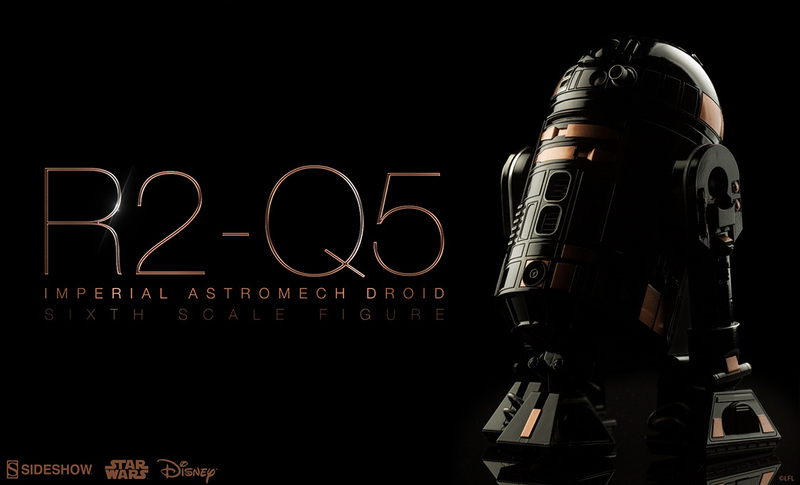 The R2-Q5 Imperial Astromech Droid Sixth Scale Figure will be next Star Wars droid from Sideshow Collectibles. Rolling in the footsteps of the droids R2-D2 and R5-D4, R2-Q5 is outfitted perfectly to serve the Empire as an Imperial droid. Star Wars fans, be sure to sign up above to get updates on this upcoming release!